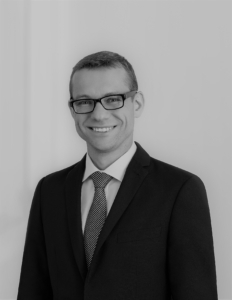 Professional background: Rimantas Simaitis is one of the leading mediators, dispute resolution attorneys and arbitrators in Lithuania. He is a partner and a head of the dispute resolution team of one of the largest Baltic and Belarussian law firms COBALT with offices located in Vilnius, Riga, Tallinn and Minsk. Rimantas has an extensive practice as mediator, arbitrator and parties’ counsellor in large number of various national and multinational mediation, litigation and arbitration proceedings for over 12 years. His field of professional experience covers all types of disputes (civil, family, administrative, penal). Many of them are complex, encompassing wide range of legal, social, psychological and technical issues. Since 2015 he is a conciliator of the International Centre for Settlement of Investment Disputes (ICSID). For more than a decade Rimantas has been engaged in mediation development and mediation law and standards setting activities and projects in different countries of Europe (Lithuania, Turkey, Russia, Azerbaijan, Belarus, Moldova, Bulgaria etc.). He was and is a member of various other civil justice and ADR development working groups and projects, appointed by the Lithuanian Parliament’s Board, Lithuanian Ministries of Justice and Economy, Judicial Council of Lithuania, and other national and international organisations. From 2006 Rimantas Simaitis acts as an international mediation expert of the Council of Europe and its European Commission for the Efficiency of Justice (CEPEJ), a chairman of the CEPEJ experts’ working group on mediation CEPEJ-GT-MED. Rimantas Simaitis has a strong scientific and academic background – he is an associate professor and a senior researcher of the Law Faculty of Vilnius University teaching and conducting scientific research in fields of civil law and procedure, ADR (mediation, arbitration, disputes negotiation etc. ), ODR, e-justice, Legal Tech, Legal Innovation and Enterpreneurship, and other multidisciplinary subjects.